It is just recently that I discovered my new favorite go-to makeup routine. Working on a night shift schedule, it’s not necessary for me to spend much time to be fully made up. People won’t even notice the color on my face that much at night so why even bother? But despite that, I can’t leave home without at least putting on lip tint/lipstick and blush. Who would even want to see someone at the office looking like a zombie late at night?! Nope. Not me. My late grandfather usually advised my grandmother to at least where lipstick when going out. According to him, it does make a woman more attractive (aside from confidence obviously!). That advise from my grandfather stayed in me. I believe that there are no ugly lady in this world, it is all about how we carry ourselves, and how much effort we’re giving to be the best version of ourselves. I remember, it was back in college when my grandmother insisted me to wear makeup. It all started with just lipstick and brow powder. Ever since, I never skipped a day without putting on lipstick and doing my brows. It is also how my love of makeup was born. From a mere lipstick and brow powder, I slowly transitioned to brow pencil, lip tints, BB cream, foundation, etc. It was quite a makeup journey. I make sure I finish my mini skincare routine before I do my makeup. I make sure to moisturize as my face get oily most of the time. You can read about my day/morning skincare routine on this link. If I feel like using a BB cream, powder, or foundation, I make sure to prime my face. 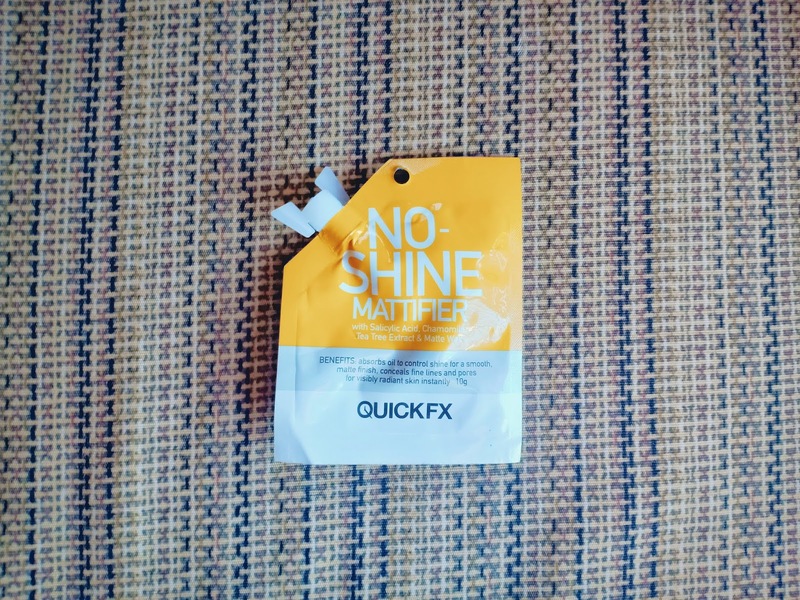 My all-time favorite would be Quick FX No-Shine Mattifier. It is cheap, and it really functions well for its price. It is available in a 10g pouch or in a 30g tube. Mini verdict: I like the 10g pouch more than 30g tube. It’s kind of weird, but the consistency of the product on both packages are different. The 10g version performs better. My base usually depends on my mood if I'll wear powder foundation, BB cream, both, or nothing. 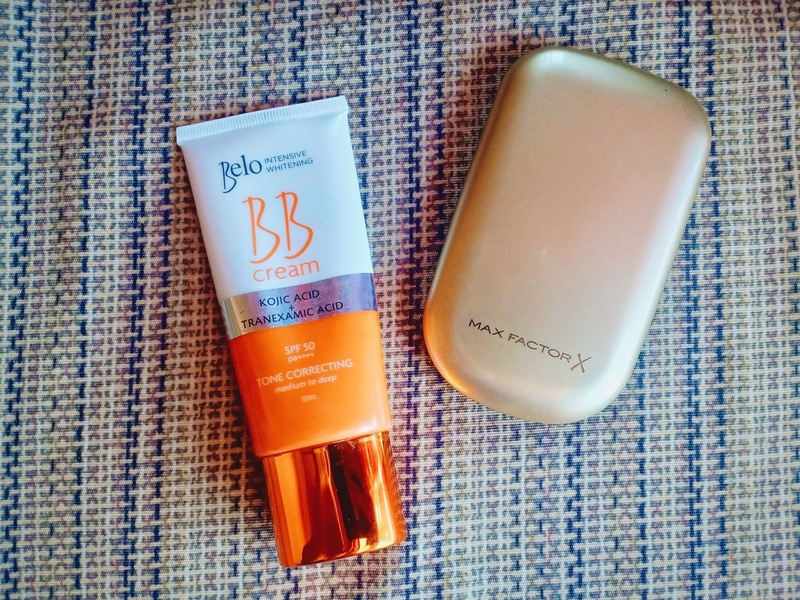 I’m blessed with clear skin so I don’t wear any base most of the time but when I feel like it, I usually opt for the Belo Intensive White BB cream and/or the Max Factor Facefinity Compact Foundation. Recently, doing my brows is not a priority. I just let it grow, bold, and bushy. 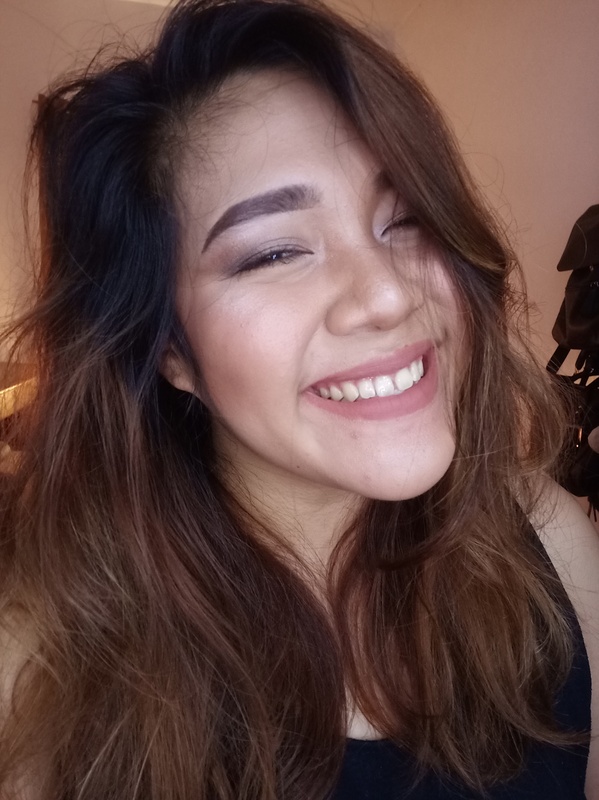 Thanks to the bushy brows trend nowadays, I get to be more confident with my brows. There are times though that I feel like wearing more defined brows. 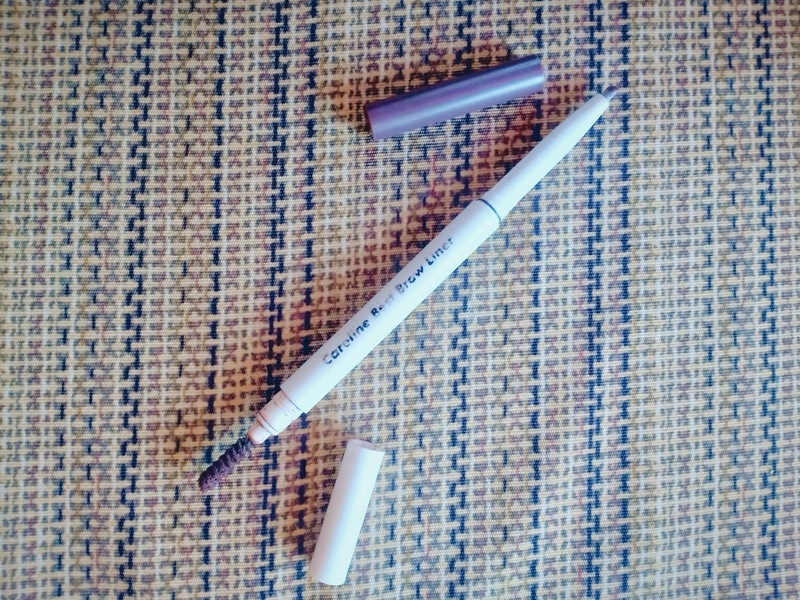 If I feel like it, I use Careline Best Brow Liner in Taupe. I love this eyebrow pencil. It has a spooly on one end and a retractable pencil at the other. Very convenient come to think of it. The product itself also performs good. It is easy to blend and control. The pigment is not too overpowering as well. This is one product that I highly recommend for beginners. I use bronzer as an eyeshadow on a daily basis. It gives depth and somehow of a definition to my eyes. I just apply my bronzer eyeshadow (Pink Sugar Blush in Morocco), curl my lash (EB Advance Eyelash Curler), put a light coat of mascara (L’Oreal Lash Paradise Mascara), and I’m good to go. It was just last January that I get to appreciate wearing eyeliner too. I love putting on a thin line on my lids which makes my eyes look bigger than it usually is. 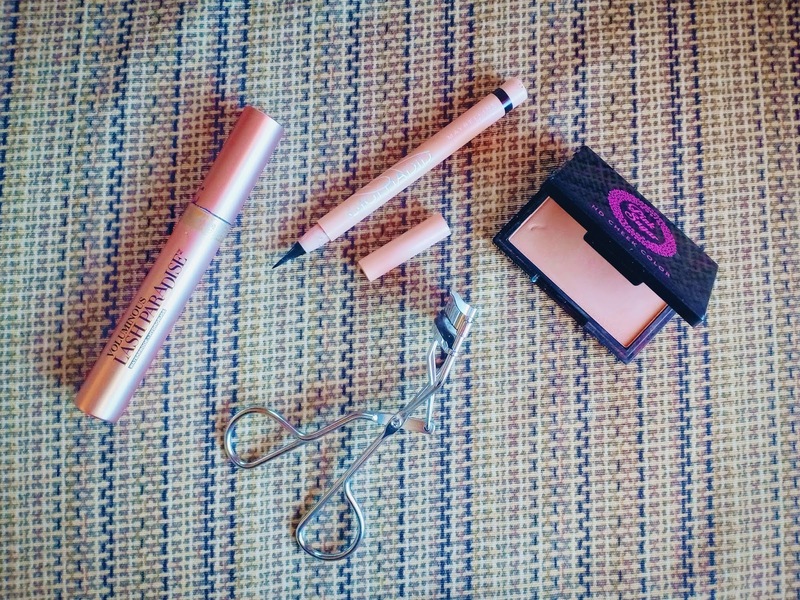 For my eyeliner, I use Maybelline x Gigi Hadid Liquid Liner. Aside from it being easy to use, it doesn’t smudge on my oily lids for the whole day. I’m not blessed with a well-defined nose and so defining it with a bronzer became a routine. For this step, I use Pink Sugar Blush in Morocco. I highlight my face whenever I wear BB cream or/and foundation. My face is too matte for my liking after putting on my base. 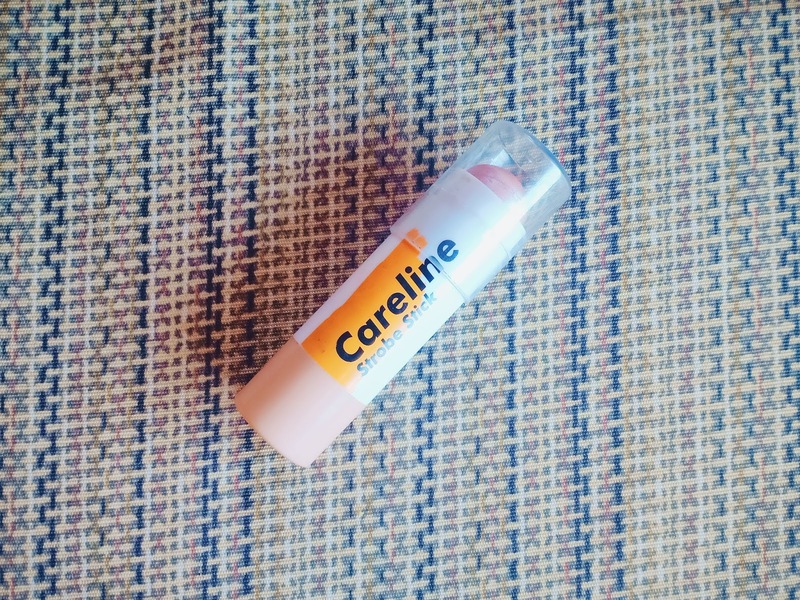 For my highlighter, I use Careline Strobe Stick. 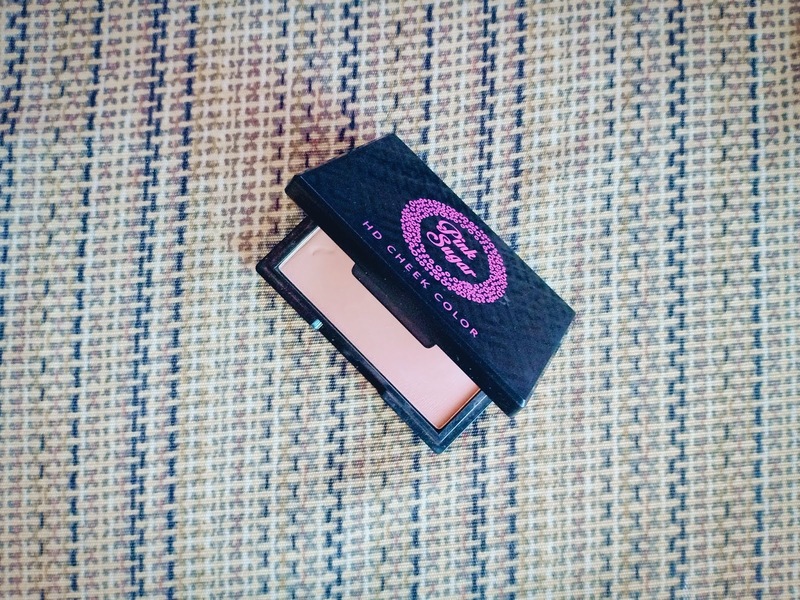 I apply it on the top of my cheeks, top of my nose, my brow bone, and my cupid’s bow just where the light hits. I never leave the house without putting on blush. 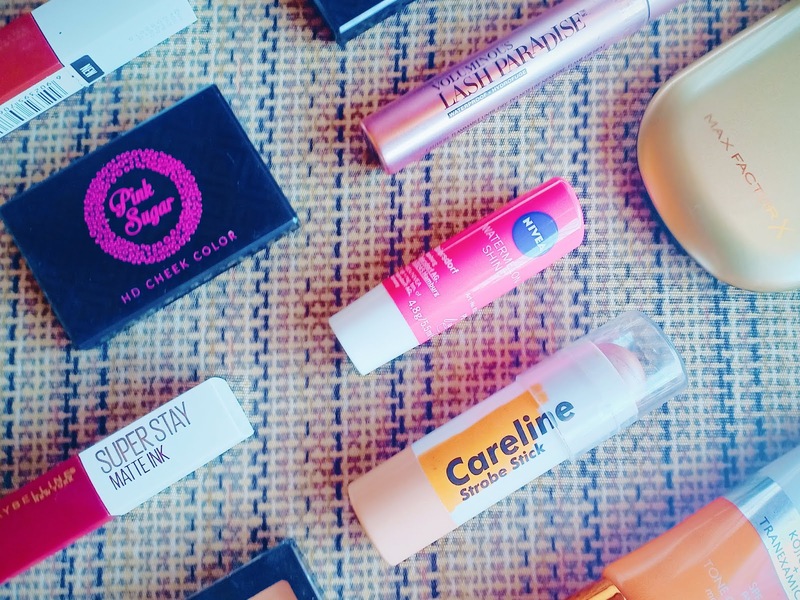 Blush is essential and so I need to find products that I know will best work for me. I have oily skin so it’s a must that the product that I’ll be using will stay for the whole day. I use two blushes for my routine. One is in a gel consistency and the other, in powder form. 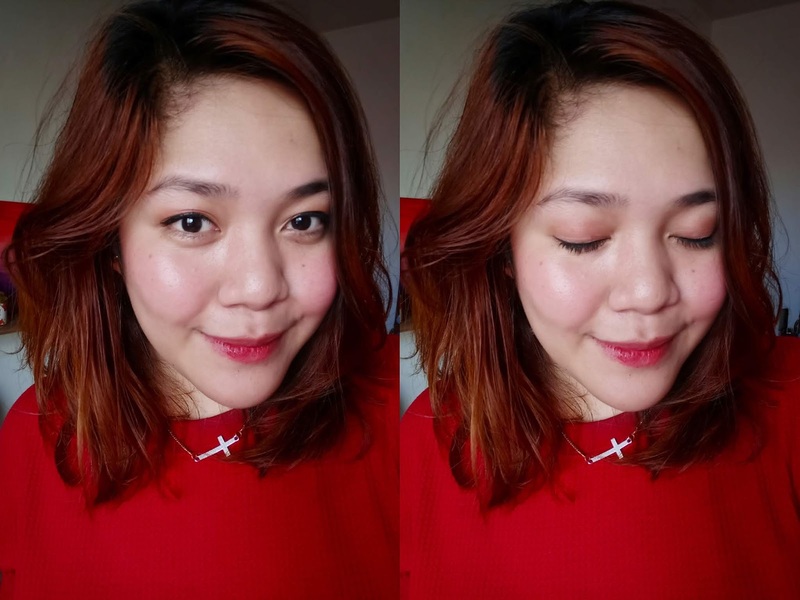 I use EB Advance Lip and Cheek Stain first, and then seal it off with either Pink Sugar Blush in Paris Lights, or the blush in BYS Contour Palette in Sweet. Both powder works with the gel tint and stays all day. I always use three products for my lips. First is lip balm to moisturize, next is lip tint, then the last will vary if I prefer liquid lipstick, lip tint (again), or lipstick. 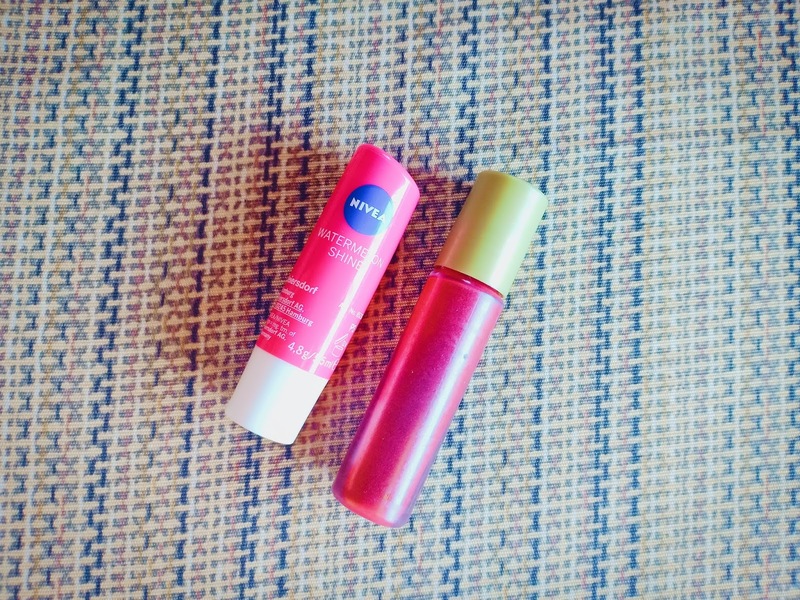 For my lip balm, I use Nivea Lip Balm in Strawberry Shine. To give a little bit of color after, I use Skin Genie’s Cheek and Lip Stain Alive. Hands down, this Php80 lip tint is worth more than its price. 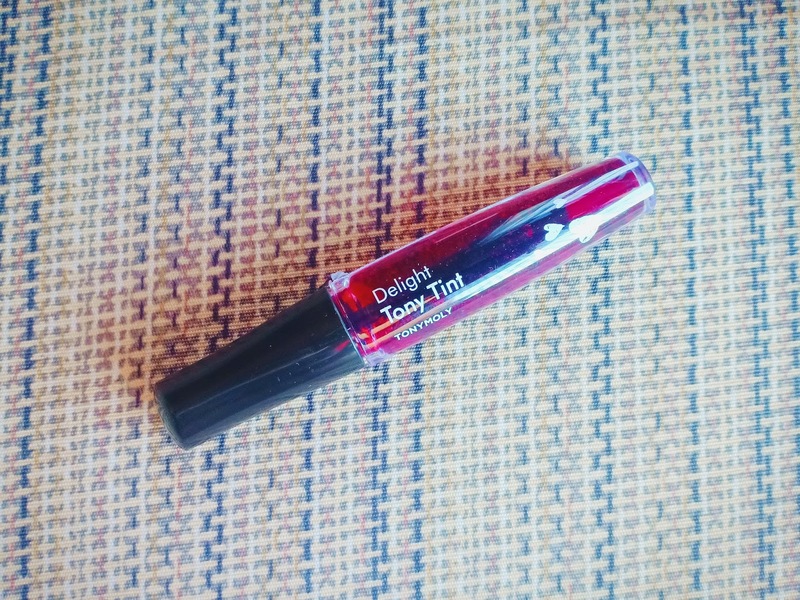 Lastly, I use Tony Moly Delight Lip Tint on top of another lip tint. It’s odd, I know.. But it works! After I eat or drink, the color is still there. 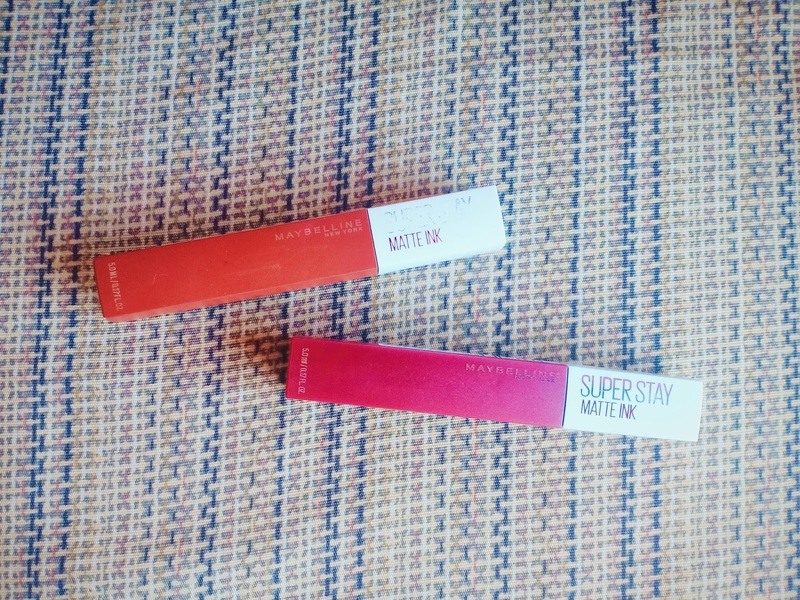 If I know that I’ll be on-the-go the whole day eating and drinking around, I make sure to apply Maybelline Superstay Matte Ink Liquid Lipstick in either Seeker or Voyager. That’s about it. The products that I showed you are my daily favorites. Rest assured, they all perform well. 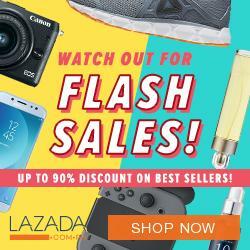 They are all affordable, and available in malls here in the Philippines. I hope you get to learn something about my current makeup routine. I would also love to know yours so please, please, please share them on the comments below. Thank you!